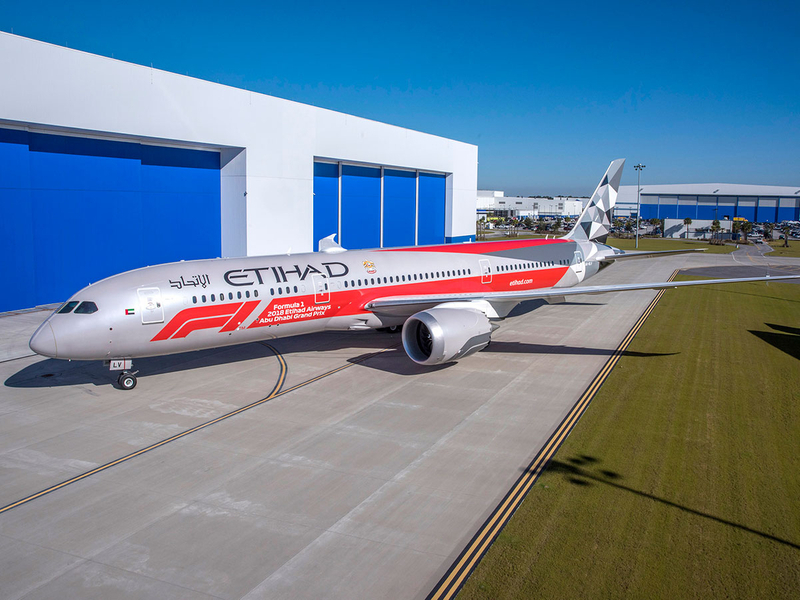 Dubai: As motorsport fans and partygoers gear up for the Abu Dhabi Grand Prix this weekend, the UAE’s flag carrier is kicking up the Formula One celebrations a notch by unveiling a new livery on its aircraft. Etihad Airways announced on Thursday that it is sporting a brand-new lick of paint to celebrate the 10-year anniversary of the racing event. 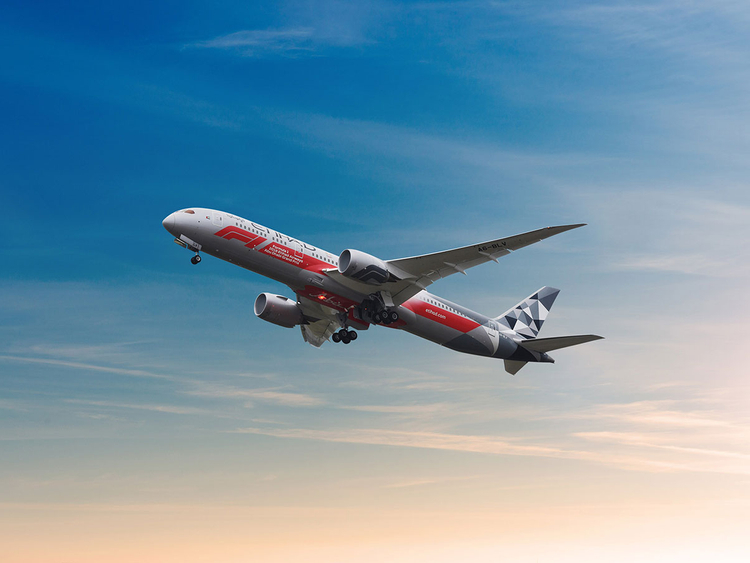 The national airline had sent its Boeing 787 Dreamliner to the planemaker’s facility in Charleston, South Carolina to have an F1-themed design painted on the exterior of the aircraft. The plane is back in town and it will be shown to the public this weekend during a low-level fly-by at the Abu Dhabi Grand Prix. It will be accompanied by the airline’s Airbus A380 aircraft, which is also sporting a special livery in honour of the Year of Zayed. Besides the special livery, some parts of Abu Dhabi have also been decked up for the racing event. The Shaikh Zayed Bridge now also lights up in F1 colours at night. Etihad said it has also collaborated with fashion designer Diane von Furstenberg to create a special edition F1-themed scarf and tie that will be worn by the airline’s cabin crew throughout the month of November. The same design will appear on commemorative economy headrests inflight during the race week. Watch how the paint work was done in the video below.